LINSAY F-7XHDKIDSBAG tablets are the first tablets to be powered by the 1.2 GHz Quad-Core Processor Cortex A7. This come with a 1GB DDR3 RAM to provide faster app launches, faster website load times, and smoother multi-tasking and better overall performance. This tablet also provides 8GB of internal memory and a micro SD card port supporting up to 64GB. 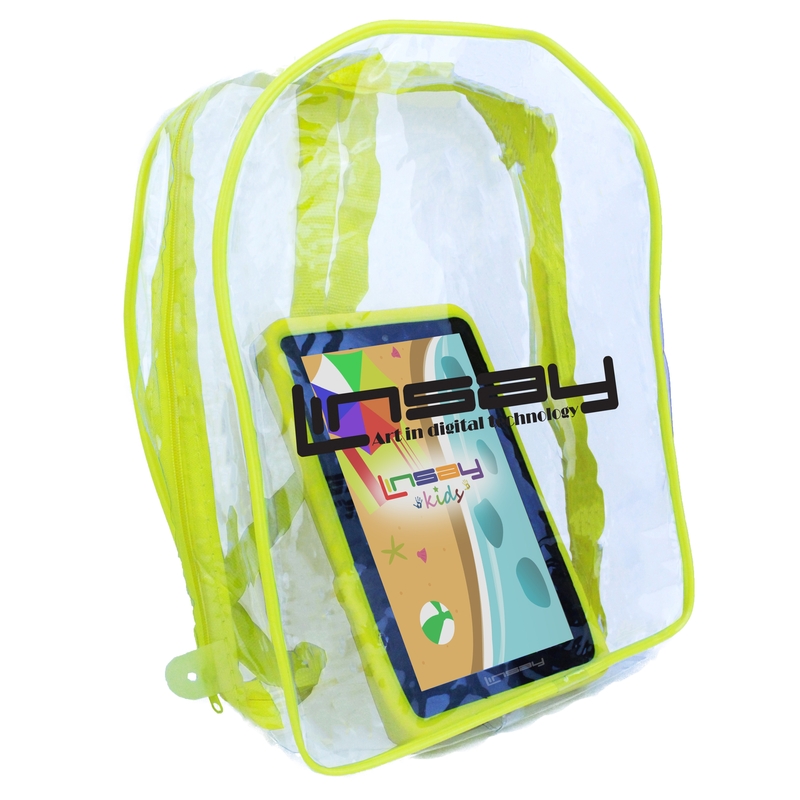 LINSAY F-7XHDKIDSBAG battery lasts more than 3 hours reading, of surfing the web on Wi-Fi, watching video, or listening to music. 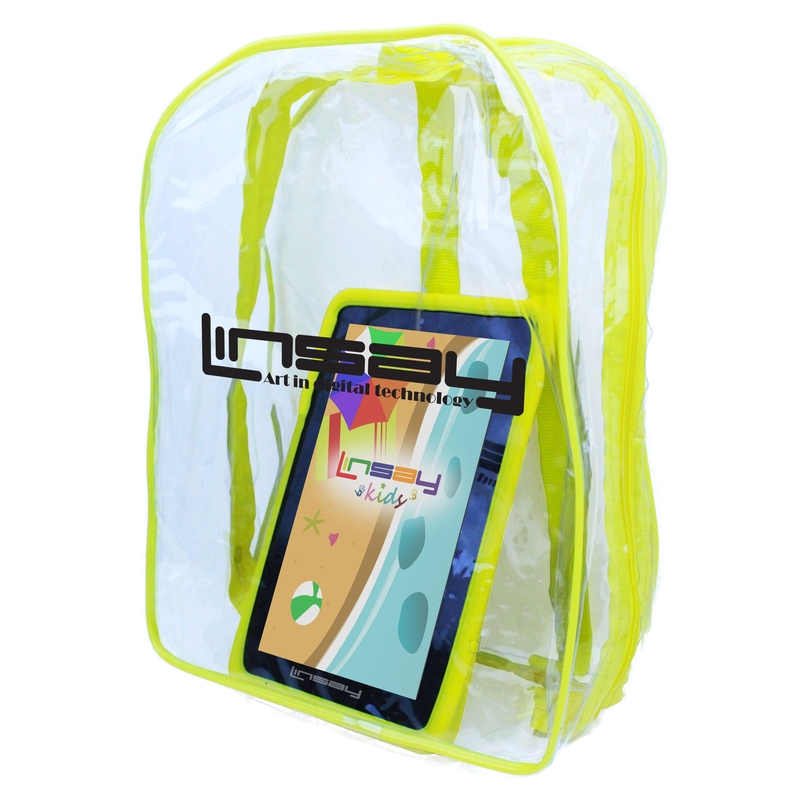 LINSAY F-7XHDKIDSBAG has a high resolution display 1024x600 HD Panel Screen widescreen 16:9 for an incredible multimedia experience. It also has a Built in Front Web Camera 0.3Mp for Video Live chat and a 2.0Mp Built in Back Camera to take stunning photos and videos. 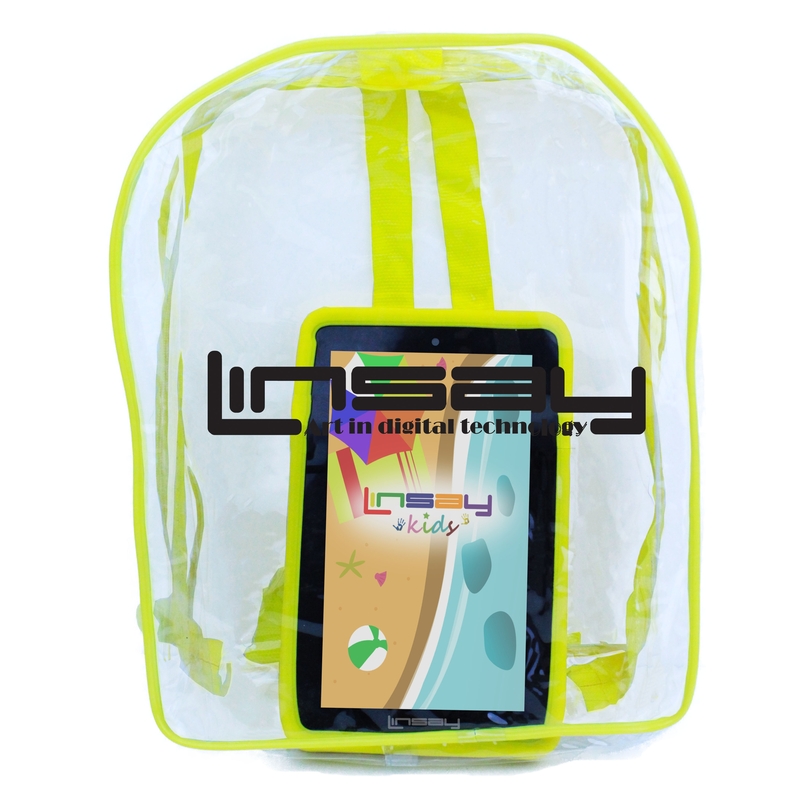 The LINSAY F-7XHDKIDSBAG display features dynamic image contrast, a unique feature that automatically optimizes the color of each pixel based on the amount of light in your surroundings. This makes images and videos even easier to see in any lighting conditions, including outdoors. LINSAY F-7XHDKIDSBAG tablets are powered by the latest version of Google Android OS 6.0 Marshmallow which provides a more polished design, improved performance and new features. Android 6.0 takes system performance to an all-time high by optimizing memory and improving your touch screen so that it responds faster and more accurately than ever before. This means that you can listen to music while browsing the web, or race down the highway with the latest hit game, all without a hitch. Built in Stereo Audio out for Headphone. LINSAY- Art in Digital Technology - Copyright 2001-2017 LINSAY. All right reserved.